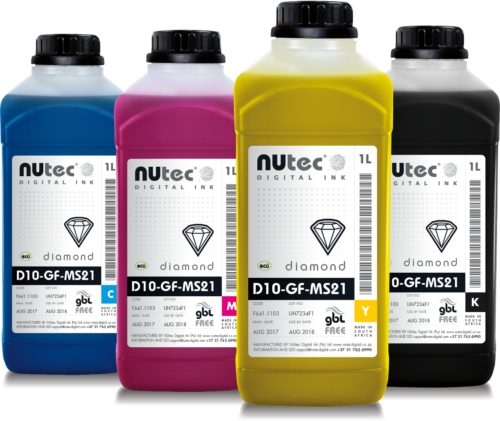 Diamond D10-GF-MS21 eco-solvent ink is designed as a back to back replacement for Mimaki® SS21™ inks. The Diamond D10-GF-MS21 formulation is GBL-Free and offers superior abrasion and chemical resistance. Diamond D10-MS21 eco-solvent ink is designed as a back to back replacement for Mimaki® SS21™ inks. It offers superior abrasion and chemical resistance. Diamond D10-MS21 ink provides excellent media compatibility across a broad range of self-adhesive and flexible substrates. Diamond D10-ESM eco-solvent ink is designed as a back to back replacement for Roland® EcoSol Max™ inks. It offers superior abrasion and chemical resistance. 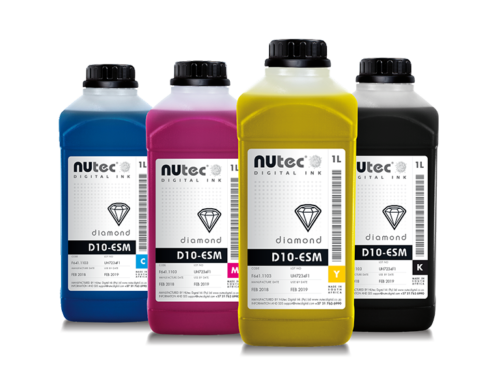 Diamond D10-ESM ink provides excellent media compatibility across a broad range of self-adhesive and flexible substrates.